Our new exhibit space is designed to allow our clients a unique viewing experience. To better serve you we offer visits to our new location by appointment for private viewing in addition to our receptions. 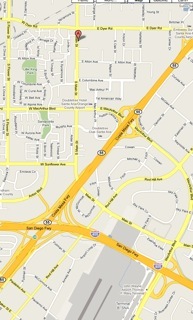 We are located just 2 miles north-east of South Coast Plaza! or you may contact us through our Contact Us page from the website.